Background: The corpse is the final structural relict of life. Its detailed analysis, the autopsy formed the basis and contributed significantly to our understanding of location, function and interaction of organs in man. Today, autopsies are performed rarely. They have been replaced by radiological in vivo visualization techniques and the analysis of organ excisions and biopsies. Which attributes do whole body preservations possess in this context? Techniques of Whole Body Analysis: In vivo imaging transfers the appearance of body organs and cellular structures in virtual images. The patient’s exposure to X-rays, fundamental particles (electrons, positrons, etc. ), strong magnetic fields (nuclear resonance), or ultra sounds release the corresponding signals. The obtained images are interpreted in search for local abnormalities such as cancer, acute and chronic infections, inborn errors, hypertrophy or atrophy. Autopsies require the removal and visual inspection of organs shortly after the victim’s death. In addition, tissue probes of suspicious lesions are fixed and microscopically analyzed. The search for gene or protein abnormalities are added dependent upon the clinical history and gross findings. The whole body plastination is performed in separated steps which include fixation, anatomical dissection, forced polymer impregnation, positioning and curing. Organs and other tissue structures can be taken out of the body and separately demonstrated, or aligned and fixed within the body. Additional tissue examinations are possible at this stage, which is followed by hardening and fixation of the still flexible body. Fixation is done with heat, light or gas. Results and Interpretation: Tissue conservation is a prerequisite to analyze and investigate in diagnosis and forecast of disease occurrence and behaviour. In history, autopsies have opened the door to localize the position and to understand the functions of organs. Today, they have been replaced by tissue banking and in vivo examinations in a wide range, especially when local lesions of organs are under investigation. Analysis of blood and serum is the main technique to search for organ dysfunction. Whole body plastination is an appropriate technique to investigate and demonstrate healthy appearance of organs, intra-organ heterogeneity, connection to and communication with neighbouring or distant organs as well as localization and distribution of organ lesions, and the associated functional impact. Perspectives: Modern societies try to inform their citizens by numerous investigations of the public health status and to improve the health condition as well as to minimize the development of behaviour associated diseases such as smoking and lung cancer, or overweight and infarction. Well performed body conservation supports these efforts. In addition, it can be considered an innovative technique to understand, diagnose, and even treat dysfunction of intra-body communication at the physical and even mental level. 1. Kayser K, et al., How to analyze Structure and Function in Tissue – based Diagnosis?.. . Diagnostic Pathology., 2016. 2. 2. Kayser K, et al., Structure, Function, and Predictive Diagnosis Algorithms. Diagnostic Pathology., 2016. 8. 3. Kayser G and K. K., Quantitative pathology in virtual microscopy: history, applications, perspectives. Acta Histochem., 2013. 115(6): p. 527-32. 4. Kayser, K., Quantification of virtual slides: Approaches to analysis of content-based image information. J Pathol Inform, 2011. 2: p. 2. 5. Toellner, R., Illustrierte Geschichte der Medizin, 1. Vol. 1. 1978, Paris: Karl Müller Verlag, Erlangen. 6. Töllner, R., Illustrierte Geschichte der Medizin. Vol. 2. 1978, Paris: Karl Müller Verlag, Erlangen. 7. Singer, C., A Short History of Anatomy & Physiology from Greeks to Harvey. 1957, NEw York: Dover Publications Inc. .
8. Gerabek, W.E., et al., Enzyklopädie Medizingeschichte. 2005, Berlin, New York: De Gruyter. 9. Estai, M. and S. Bunt, Best teaching practices in anatomy education: A critical review. Ann Anat. 208: p. 151-157. 10. Arnts, H., et al., Combining fiber dissection, plastination, and tractography for neuroanatomical education: Revealing the cerebellar nuclei and their white matter connections. Anat Sci Educ. 7(1): p. 47-55. 11.	von Hagens, G., K. Tiedemann, and W. Kriz, The current potential of plastination. Anat Embryol (Berl), 1987. 175(4): p. 411-21. 12. Ruthig, V.A., et al., Macroscopic demonstration of the male urogenital system with evidence of a direct inguinal hernia utilizing room temperature plastination. Anatomy. 10(3): p. 211-220. 13. McMenamin, P.G., et al., The production of anatomical teaching resources using three-dimensional (3D) printing technology. Anat Sci Educ. 7(6): p. 479-86. 14. Musial, A., et al., Formalin use in anatomical and histological science in the 19th and 20th centuries. Folia Med Cracov. 56(3): p. 31-40. 15. Miranda Solis, F., [Plastination as a method of preservation of biological tissue for teaching and research in human anatomy]. Rev Peru Med Exp Salud Publica. 32(4): p. 819-20. 16. Dhingra, R., V. Taranikanti, and R. Kumar, Plastination: teaching aids in anatomy revisited. Natl Med J India, 2006. 19(3): p. 171. 17. Klaus, R.M., D.F. Royer, and M.E. Stabio, Use and perceptions of plastination among medical anatomy educators in the United States. Clin Anat. 18. Chun, P., et al., The Use of P45 Plastination Technique to Study the Distribution of Preseptal and Preaponeurotic Fat Tissues in Asian Eyelids. Cell Biochem Biophys. 73(2): p. 313-321. 19. Cohn, F., Re-inventing anatomy: the impact of plastination on how we see the human body. Clin Anat, 2002. 15(6): p. 443-4. 20. Suktitipat, B., et al., Molecular investigation by whole exome sequencing revealed a high proportion of pathogenic variants among Thai victims of sudden unexpected death syndrome. PLoS One. 12(7): p. e0180056. 21. Ramaker, R.C., et al., Post-mortem molecular profiling of three psychiatric disorders. Genome Med. 9(1): p. 72. 22. Baudhuin, L.M., et al., Technical Advances for the Clinical Genomic Evaluation of Sudden Cardiac Death: Verification of Next-Generation Sequencing Panels for Hereditary Cardiovascular Conditions Using Formalin-Fixed Paraffin-Embedded Tissues and Dried Blood Spots. Circ Cardiovasc Genet. 10(6). 23. Born, J.P.L., et al., Using Postmortem hippocampi tissue can interfere with differential gene expression analysis of the epileptogenic process. PLoS One. 12(8): p. e0182765. 24. Pandit, S., S. Kumar, and B.K. Mishra, Comparative study of anatomical specimens using plastination by araldite HY103, polypropylene resin, 6170H19 Orthocryl and silicone - A qualitative study. Med J Armed Forces India. 71(3): p. 246-53. 25. Mohsen, S.M., et al., Comparing two methods of plastination and glycerin preservation to study skeletal system after Alizarin red-Alcian blue double staining. Adv Biomed Res. 2: p. 19. 26. Burns, L., Gunther von Hagens' BODY WORLDS: selling beautiful education. Am J Bioeth, 2007. 7(4): p. 12-23. 27. Latorre, R.M., et al., How useful is plastination in learning anatomy? J Vet Med Educ, 2007. 34(2): p. 172-6. 28. Fonseca, G.R. and G.M. Finn, The impact of Body Worlds on adult visitors' knowledge on human anatomy: A preliminary study. Clin Anat. 29(4): p. 439-45. 29. Jones, D.G., The Artificial World of Plastination: A Challenge to Religious Perspectives on the Dead Human Body. New Bioeth. 22(3): p. 237-252. 30. 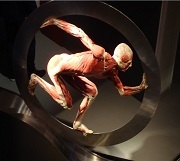 Latorre, R., et al., Plastination in Anatomy Learning: An Experience at Cambridge University. J Vet Med Educ. 43(3): p. 226-34. 31. Bouffard, C. and M. Bouffard, Spectacular anatomy: plastination and salutary dread. Lancet. 379(9817): p. 704-5. 32. Elnady, F.A., The Elnady Technique: An innovative, new method for tissue preservation. Altex. 33(3): p. 237-42. 33. Goldmann, T., et al., Tissue microarrays from HOPE-fixed specimens allow for enhanced high throughput molecular analyses in paraffin-embedded material. Pathol Res Pract, 2005. 201(8-9): p. 599-602. 34. Vollmer, E., et al., HOPE--a novel tool for the pathologist. Rom J Morphol Embryol., 2004. 45: p. 35-40. 35. Kumar, N., et al., Plastination of macroparasites: An eco-friendly method of long-term preservation. Vet World. 10(11): p. 1394-1400. 36. Steinke, H. and K. Spanel-Borowski, Coloured plastinates. Ann Anat, 2006. 188(2): p. 177-82. 37. Bianucci, R., et al., The Body Worlds Exhibits and Juvenile Understandings of Death: Do We Educate Children to Science or to Voyeurism? Clin Ter. 166(4): p. e264-8. 38. Jones, D.G., The public display of plastinates as a challenge to the integrity of anatomy. Clin Anat. 29(1): p. 46-54. 39. Euler, L., Introductio in analys in infinitorum 1st part: , A. Krazer and F. Rudio, Editors. 1922, Springer, Berlin, Heidelberg. 40. Afek, A., et al., Dr. Tulp's Anatomy Lesson by Rembrandt: the third day hypothesis. Isr Med Assoc J, 2009. 11(7): p. 389-92. 41. Chakraborty, R., et al., A systematic review of religious beliefs about major end-of-life issues in the five major world religions. Palliat Support Care. 15(5): p. 609-622. 42. Glick, S. and A. Jotkowitz, Compromise and dialogue in bioethical disputes. Am J Bioeth, 2007. 7(10): p. 36-8. 43. Mohammed, M. and M.A. Kharoshah, Autopsy in Islam and current practice in Arab Muslim countries. J Forensic Leg Med. 23: p. 80-3. 44. Pawar, M.N., D.M. Suryawanshi, and J.P. Kumar, Myths and misconceptions about medico-legal autopsies among the people of Tamilnadu, India. J Forensic Leg Med. 34: p. 159-63. 45. Sajid, M.I., Autopsy in Islam: Considerations for Deceased Muslims and Their Families Currently and in the Future. Am J Forensic Med Pathol. 37(1): p. 29-31. 46. Seilhean, D., [Religions and autopsy]. Rev Prat, 2002. 52(6): p. 585-7. 47. Smith, C., 'Visitation by God': rationalizing death in the Victorian asylum. Hist Psychiatry. 23(89 Pt 1): p. 104-16. 48.	http://www.alteshallenbad.de/angebot/koerperwelten/. Anatomie des Glücks. 2018 [cited. 49. Leiberich, P., et al., Body worlds exhibition--visitor attitudes and emotions. Ann Anat, 2006. 188(6): p. 567-73. 50. Xu, Z., et al., Nature and Architecture of the Puboprostatic Ligament: A Macro- and Microscopic Cadaveric Study Using Epoxy Sheet Plastination. Urology. 110: p. 263 e1-263 e8. 51. Vuletić, F., et al., Intratumoral heterogeneity. Diagnostic Pathology, 2018. 4(1): p. 257. 52. Görtler, J., et al., Cognitive Algorithms and digitized Tissue - based Diagnosis. Diagnostic Pathology,, 2017. 53. Kayser, G., et al., The application of structural entropy in tissue based diagnosis. Diagnostic Pathology,, 2017. 3:1. 54. Kayser, K., S. Borkenfeld, and G. Kayser, Predatory Journals, Science Citation Index and Open Access Publications in Diagnostic Pathology. Diagnostic Pathology, 2017. 3(1).